Wake up with help from everyone's friendly neighborhood Spider-Gwen! 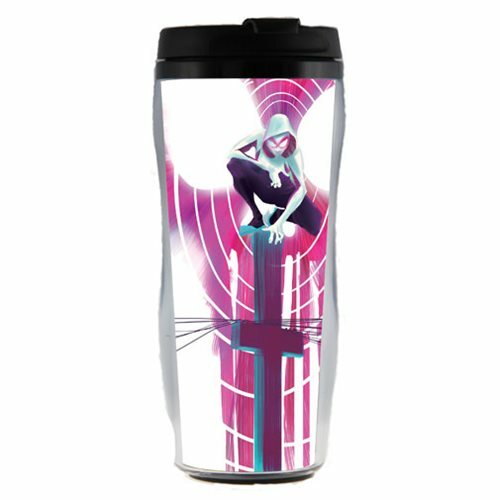 This Spider-Man Spider Gwen Plastic Travel Mug features the popular character poised atop a telephone pole. Holds up to 16 ounces of liquid. Hand wash only. Not dishwasher safe. Do not microwave. Ages 13 and up.